A recent blockbuster hit movie Dharmadurai, which was the earlier title of Superstar Rajinikanth's very fame & hit movie. Now Trend changed to Vijay Sethupathy. Yes, Makkal Selvan Vijay Sethupathy live on that character itself. All over peoples are praised actor Vijay had done a tremandus job in this movie. Dharmadurai is a commercial family subject oriented entertainment film. 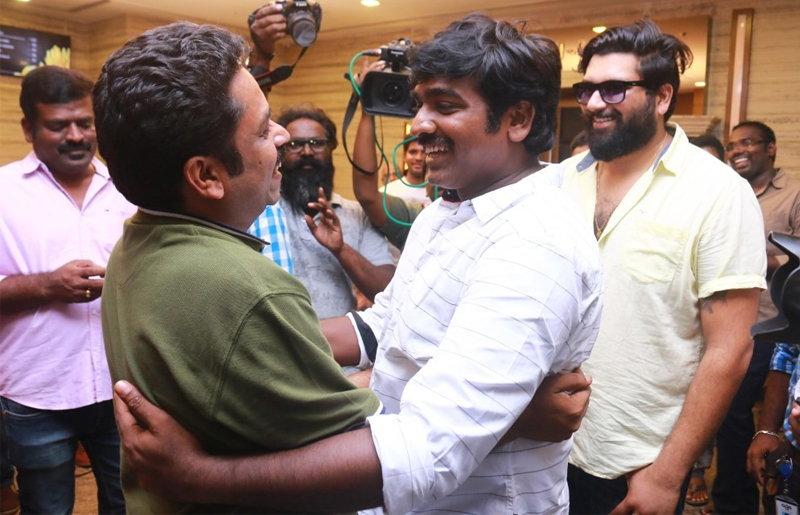 Vijay Sethupathy chosen movie as different types and challenging role from his recent movies. Dharmadurai movie directed by Seenu Ramasamy and produced by RK Suresh in his production company as Studio 9. Music scored by Yuvan Shankar Raja. Tamannaah, Aishwarya Rajesh, Srushti Dange are the leading female role in this movie. Write & Share about "Dharmadurai Director Thanks to his film Actor and Producer | Dharma Durai (2016) Tamil Movie News | Cinema Profile" !